Brad has been teaching in traditional and non-traditional classrooms for the past 25 years, starting in summer camps and graduating to the creation of Great Moose Adventures. He is an OCT qualified educator who specializes in citizenship and character education, including co-operative skills, social studies, phys-ed, communication, behaviour management and self-esteem development. 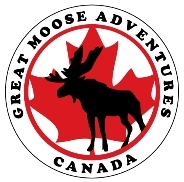 Since opening Great Moose Adventures, he has been designing and facilitating inquiry based education - utilizing creative, hands-on learning in an outdoor setting for academic success and personal growth. Within his roles at Great Moose Adventures, Brad has enjoyed the responsibility of guiding the wide variety of educators who have joined our team, including developing our LIT, CIT & Junior Guide summer programs and mentoring many of the teachers who join our summer staff or teacher candidates completing their Bachelor of Education placements at our school. From the hiring process to developing achievable goals, the focus for professional development is rooted in a growth mindset and lifelong learning. Brad is a certified Outward Bound canoe guide with over 550 days leading youth and young adults on wilderness trips. He holds an Orca Canoe Instructors Level 1, an Alpine Ski Instructors Certificate, Jack Rabbit Ski Coach, a National Life Saving Certificate, YMCA Swim Instructors & Wilderness First Aid. Deanna is a multi talented educator and leader. 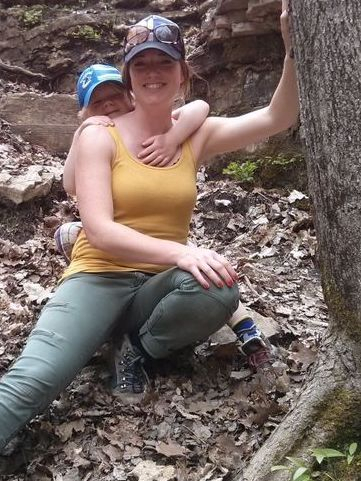 An Ontario Certified Teacher, she specializes in early literacy, outdoor inquiry and child directed play & learning. For the past 16 years Deanna has been teaching children from the ages of 3 upwards in several different countries and educational systems, giving her an insight into different teaching & learning approaches from around the globe. Using this experience, she developed the Nature Preschool and Kindergarten Program at GMA Academy and is the Head of Lower School in addition to teaching the Kindergarten & Early Learners Class. She also leads the kitchen and has created an approach to menu planning, cooking, food studies & dietary education which is specifically designed for children. She incorporates home grown ingredients, alternative diets, international cuisine and healthy dishes to make sure everyone at GMA is refueling properly after a big day outside or in the classrooms. Making sure the children are involved has been key to her approach - from kitchen helpers cleaning up after lunch, to gardeners and bakers, she makes sure everyone is involved and invested in our food. Sonny has been teaching in the indoor and outdoor classroom for the past 17 years. Originally from the UK and France he has had the opportunity to teach children of all ages from 3 different continents. He is an OCT certified teacher with experience teaching and leading in a wide range of educational environments. In recent years his focus has been the founding & development of GMA Academy - a private school for elementary aged children, centered on blending traditional academic studies with experiential, hands-on outdoor play and learning. He is the GMA Academy Principal, Junior Class Teacher and whole school French Teacher. He is also the Head of Curriculum Development & Assessment, a role which has seen him bring in curricula and educational approaches from all over the world to create a dynamic, holistic and high quality learning community for the students and teachers at GMA Academy and Great Moose Adventures. During the summers he is a lead guide for wilderness canoe trips with over 200 days of guiding experience. Outside of regular class teaching, his educational specialties include: Forest School, Emotional Awareness and Wilderness Survival. Becki’s path as an educator has been very diverse with experience teaching abroad as a humanitarian on a project development team in Bulgaria, facilitating interactive animal presentations with Speaking of Wildlife, youth programming and aquatics at the YMCA and providing lessons about Medieval Life for primary students in Chivalric Productions. In her role as Nature preschool teacher, she has helped develop and facilitate our early years program both at school and camp. Holding her RYT 200 and Rainbow Kids yoga instruction certification she provides expertise in the area of children’s yoga as well as play and inquiry based education. As the Mixed Arts teacher, she brings elements of music, drama and dance to her programs for the students at GMA Academy and summer campers - challenging her students to push their comfort levels in body, mind and spirit. When not spending time with the little people of the world, Becki is a Red Cross First Aid instructor and holds a National Life Saving Certificate. Focusing mainly on the Wilderness First Aid program, she offers interactive courses certifying all of our summer and year round staff. Lastly, she is the Head of Waterfront for our summer program, ensuring that all our campers are safe while swimming and canoeing. Jacqueline is a Registered Early Childhood Educator with a diverse background. She has over 15 years’ experience working in inquiry-based indoor and outdoor classrooms. Additionally, she holds a diploma in Parks & Outdoor Recreation, with a focus in botany. She is also trained in Wilderness First Aid. 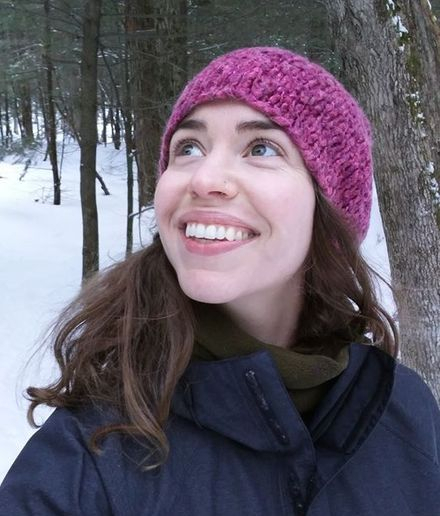 She believes educators are also life-long learners and continues her professional development in permaculture, herbalism, cooking, nutrition and food safety. She enthusiastically draws from these various modalities to create dynamic learning experiences. Jacqueline began her career at Great Moose Adventures as the Nature Preschool Teacher. 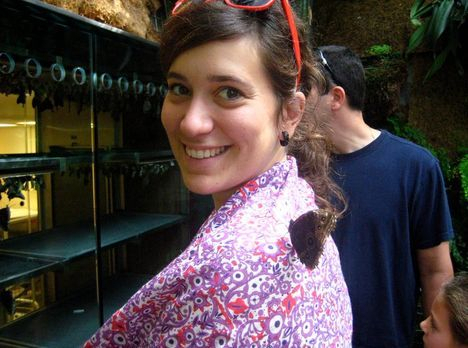 She facilitates outdoor education experiences for visiting school groups and PA day camps. Currently, she teaches Food, Health and Nutrition Studies to KEL through Grade 8. The classes offers a holistic, child-led approach to discovering how food is related to personal well-being, culture, science, and the environment. Children explore hands-on skills in the kitchen and outdoors, as well as an understanding of diverse diets and nutrition. She believes deeply in fostering a connection to nature through food. She has been developing a school garden utilizing permaculture principles for the past two years to produce fresh vegetables and fruits for the Great Moose Academy community. Meaghan began her career as an educator teaching English in South Korea and quickly recognized the joy and privilege of facilitating student growth and learning. She is an OCT certiﬁed teacher, with specialties in mathematics and science, holds her additional qualiﬁcations in Special Education and Reading, as well as a certiﬁcate in Wilderness First Aid. She has been teaching children of all ages in various indoor and outdoor classrooms for the last 10 years. These experiences include teaching an outdoor based secondary school leadership program, team building programmings in camp settings, leading wilderness canoe trips, and developing children’s programming for camps. 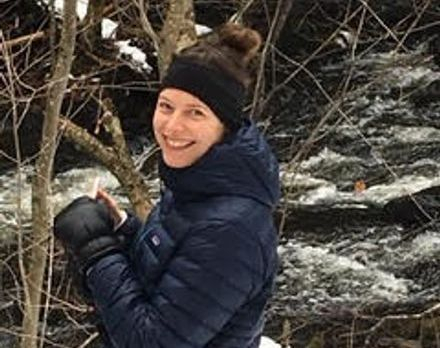 Most recently, Meaghan has delivered professional development for all the Grade 1 teachers in the Simcoe County School Board for outdoor education.